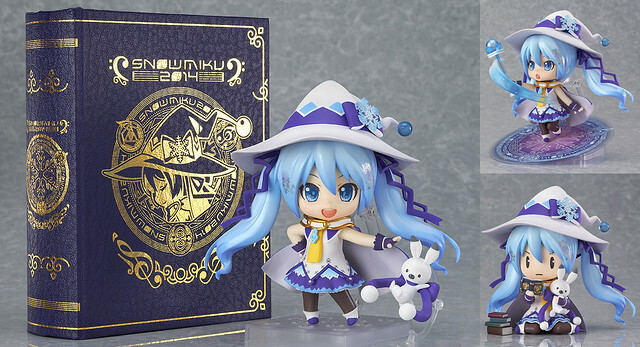 There is one more Nendoroid-related product that will make their debut in the upcoming Winter Wonder Festival 2014. Yep, as you might have known, the Nendoroid More: Dress-Up Pajamas have been developed for quite a while, and now the set is finally official and will be debuting at the event! Line up your favourite characters together! The first Nendoroid Dress Up parts! The Nendoroid More series was created to make Nendoroids even more enjoyable, and a new addition to the series are ‘Dress Up Pajamas’! The pastel colored set of pajamas can transform your favourite Nendoroids into a cute matching set! The set includes five different pajamas including aqua and peach colored shirt-type pajamas as well as citrus, lime and charcoal colored tunic-type pajamas. There is also one secret body to look forward to for a total of six to collect! 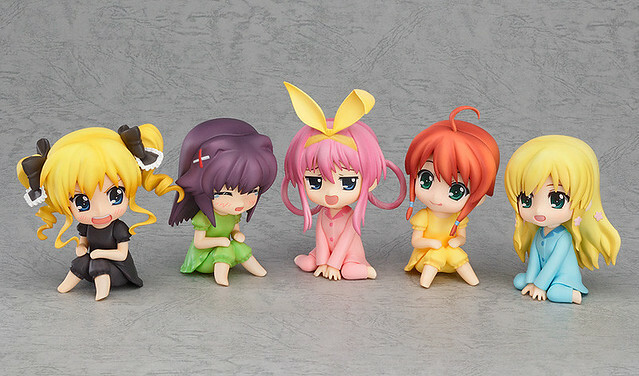 Dress-up your favourite Nendoroids and have a pajama party! Nendoroid More: Dress-Up Pajamas will be sold in similar way as Nendoroid Petites – you can either get them each for 700 Yen or in a box of six (5 colors + 1 secret) for 4200 Yen. 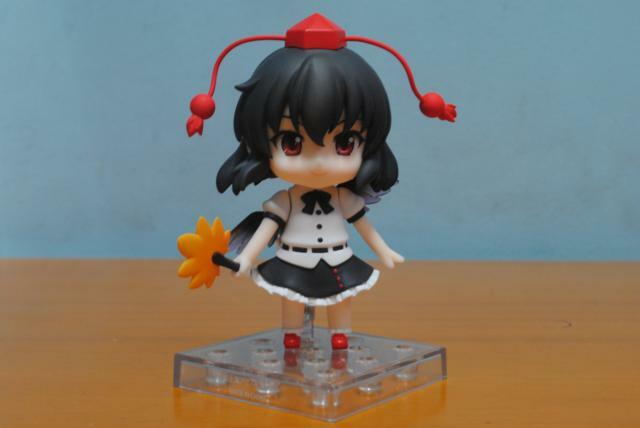 Joining the latest character from Touhou Project in Nendoroid form, here comes Shameimaru Aya, a tengu and a reporter, known as the Traditional Reporter of Fantasy! 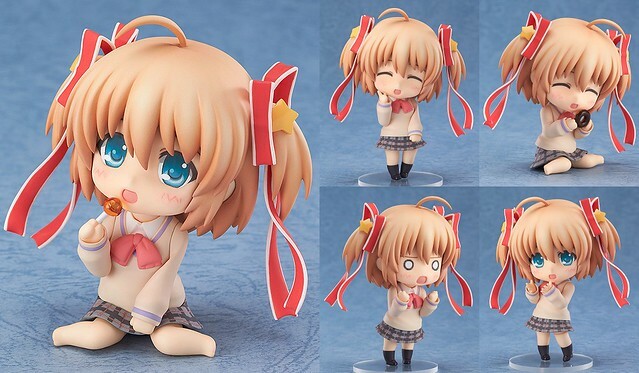 As we have already seen from the Miyazawa Model Exhibition last year, the next Nendoroid from Little Busters is Nendoroid Kamikita Komari, and she is finally available for pre-order. The adorable optimist who loves fairy tales! Her cute twin-tails as well as the long ribbons that tie them up can be posed at various angles, allowing for various dynamic poses. 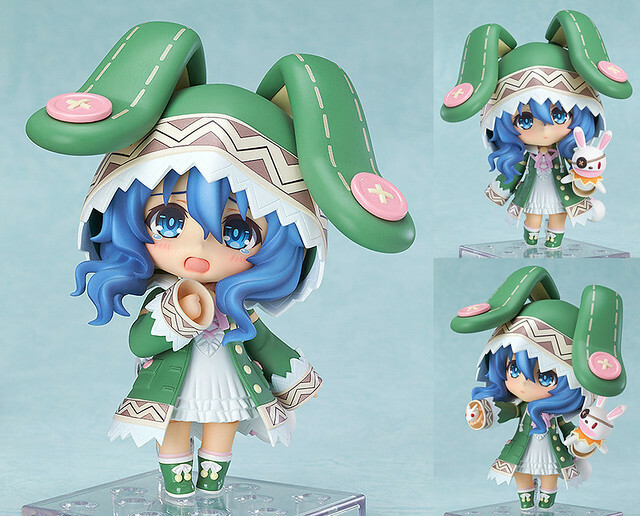 She also comes with sitting parts allowing you to recreate the scene with her legs curled up to the side, based on one of the popular illustrations from the original game! Komari-chan also comes with a donut and sucker to satisfy her love for sweet things! 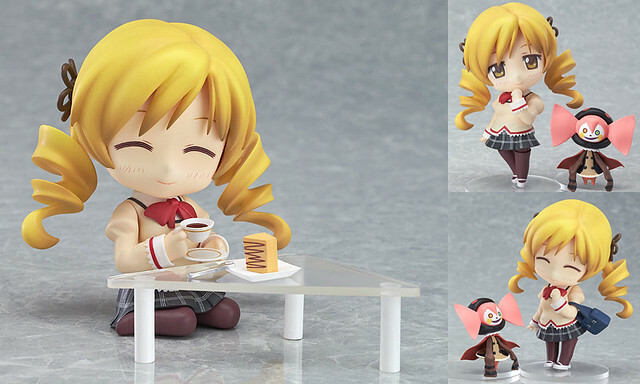 Be sure to display her with the previously released Kudryavka Noumi and Rin Natsume! 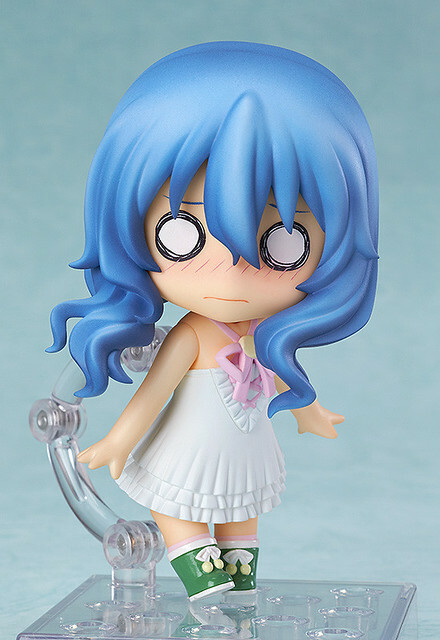 Nendoroid Kamikita Komari will be released on May 2014, priced at 3900 Yen.